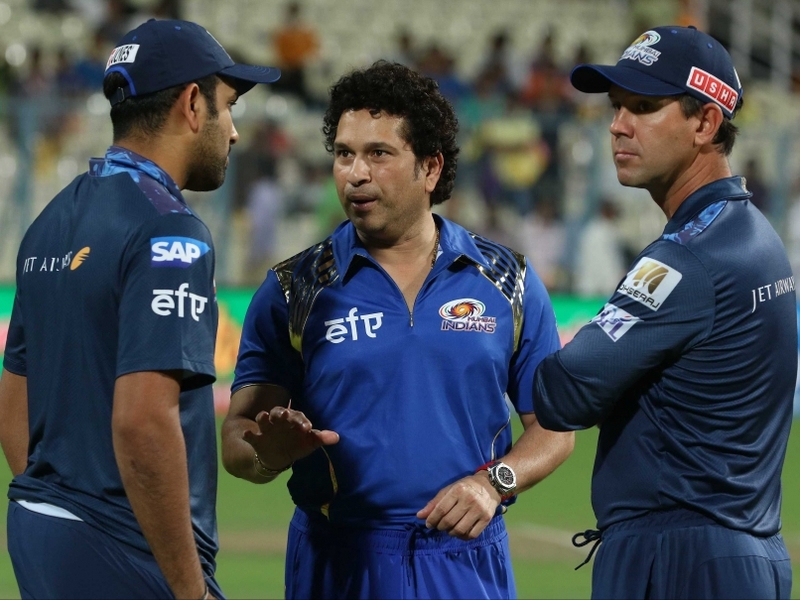 On the opening match of the IPL 2015 Kolkata Knight Riders beat Mumbai Indians by 7 wickets at Eden Gardens. 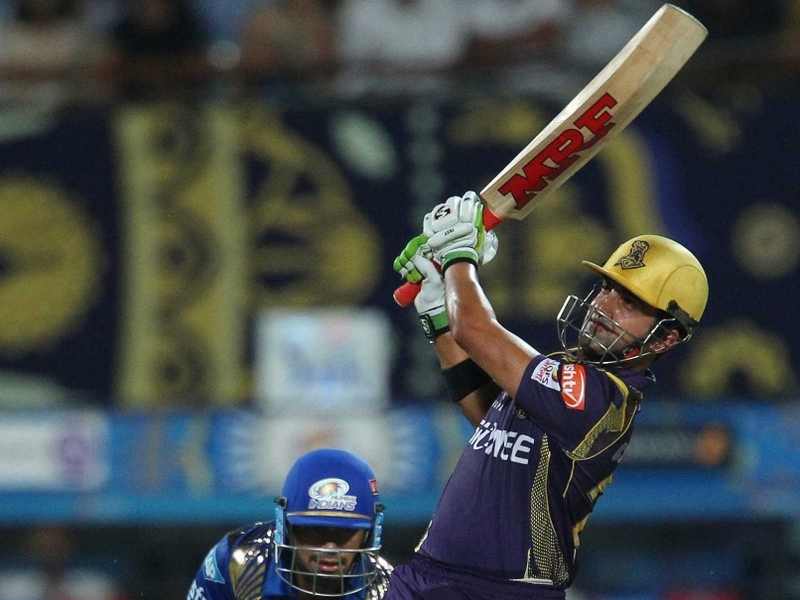 A half century from captain Gambhir and 46 not out from Suryakumar Yadav saw KKR stroll past Mumbai Indians. 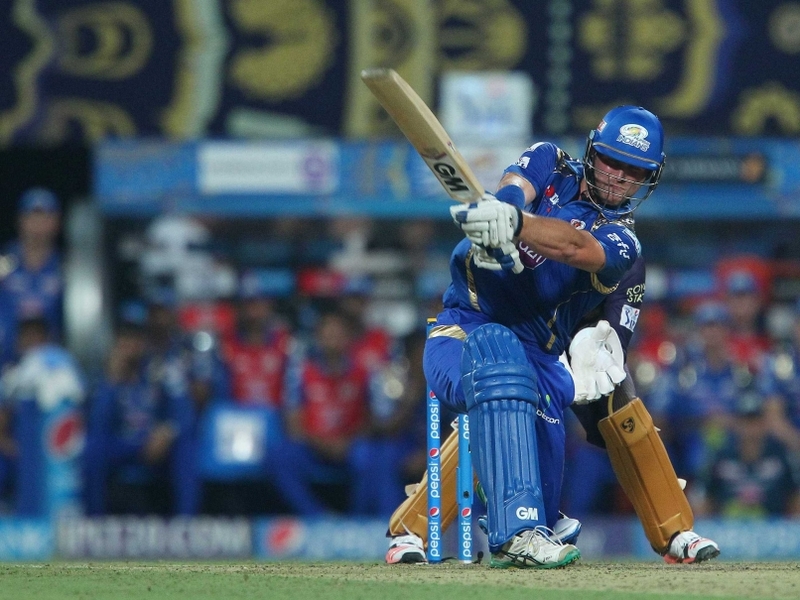 Rohit Sharma and Corey Anderson rode their luck to boost Mumbai Indians to 168/3 after an initial collapse. 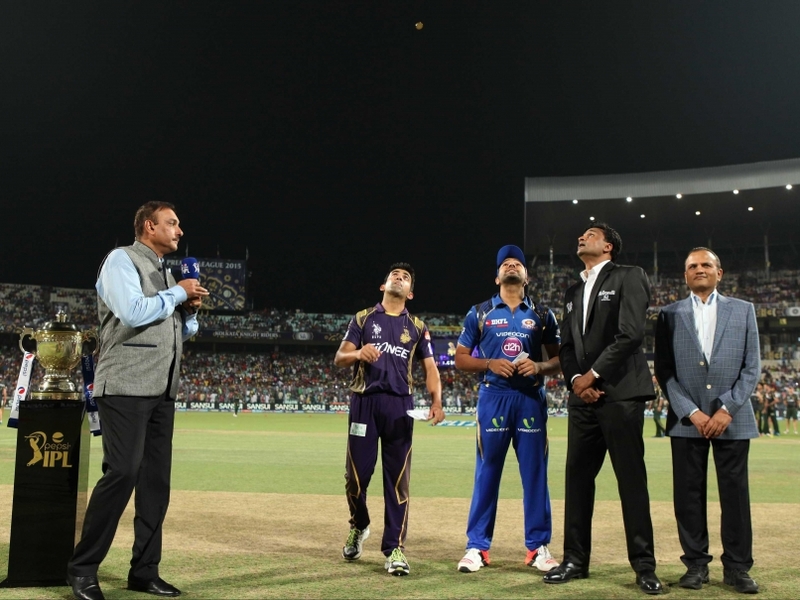 Catch all the highlights of the match here. 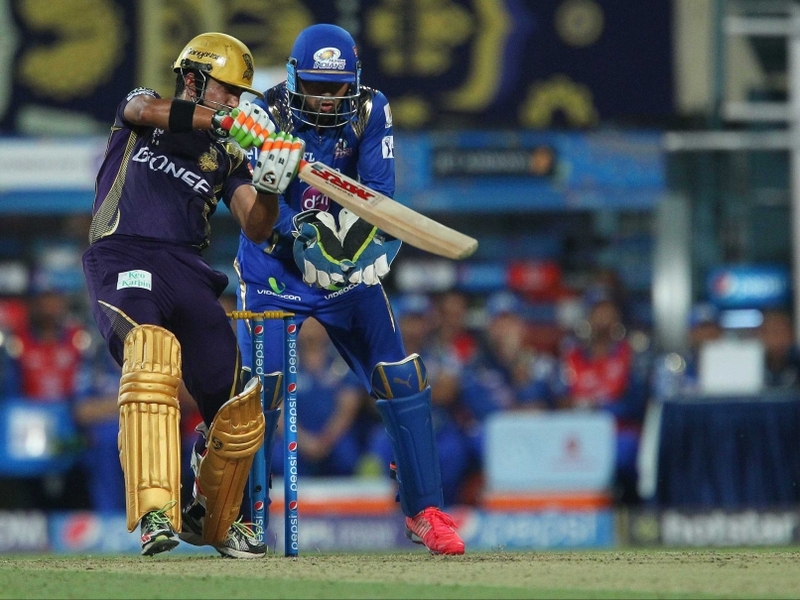 Suryakumar Yadav – 46 not out from 20 deliveries! 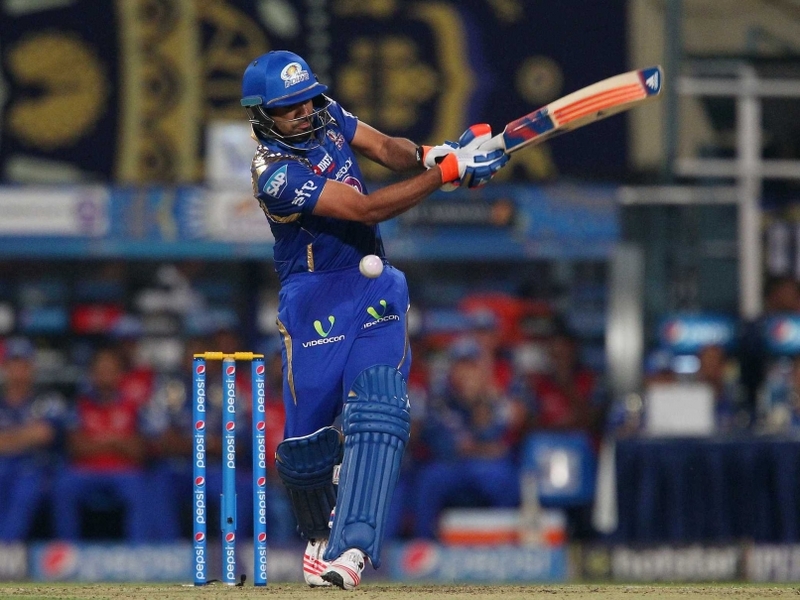 Rohit Sharma steered Mumbai Indians after quick early losses. Sunil Narine (R) is seen here with KKR’s bowling coach Wasim Akram on the eve of his team’s first match of IPL 8.